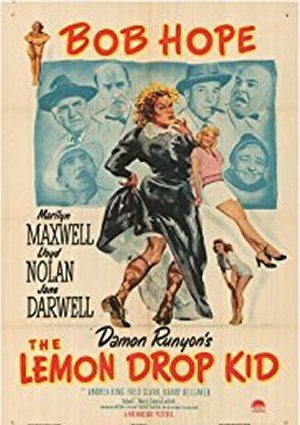 Sidney Melbourne (a/k/a The Lemon Drop Kid), is a con man who offers a friendly sure thing horse tip to the girlfriend of mobster Moose Moran. But when his sure thing loses, Sidney is given until Christmas to pay back the money or else. To raise the money he owes, Sidney enlists some old pals to hit the street corners of New York dressed as Santa Claus accepting donations for a bogus elderly ladies home. You wouldn’t know that this is a Christmas movie by it’s title, but the whole movie takes place during Christmas. Bob Hope is at his funniest best. It’s so old fashioned Christmasy. I never miss it. I own it, and watch it sometimes even twice at Christmas time. I love it. For the whole family!